Hey, all you homeowners out there, congratulations! You’ve almost survived record-breaking cold snaps, blizzards, unseasonal warmth, periods of flooding, and ‘bombogenesis’ and the ‘bomb cyclone’. Ahh, winter in New England. You’re already starting to breathe a sigh of relief with spring in sight. But before you do, this is the perfect time to make sure your home is just as ready for the thaw as you are. If it’s not, there could be some expensive consequences. Fight the temptation to turn off your heat just because spring is coming. It’s fine to dial back your system. But don’t think you’re totally in the clear during the mild and warm weather months. Instead, use this time to to reevaluate your heating system, consider whether it’s time to upgrade, and become an all-around more informed homeowner (actually, it’s the perfect to evaluate all of your home’s systems, including air conditioning and plumbing). Remember, owning a home is like a marathon — not a sprint. That can start with the simplest of questions. For example, do you know if you have a boiler or furnace? 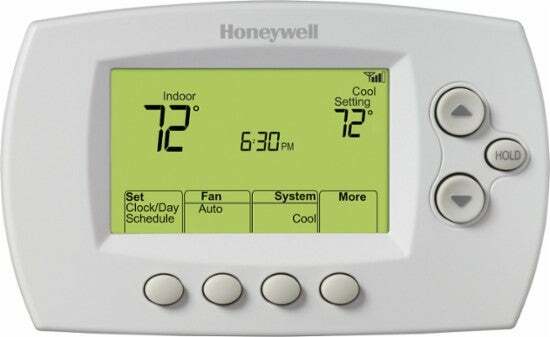 Heat waves, cold snaps and breakdowns are most often the reasons homeowners find themselves calling for assistance with their systems. So now that the weather has calmed (knock on wood) and your systems are all working (knock again), take a full house scan of your heating, cooling, and plumbing systems. 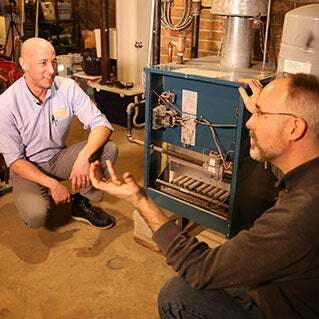 It gets you through tough New England winters, but how well do you know your heating system? If you have a boiler, the system heats water and circulates it through baseboards or radiators. If you have a furnace it heats air and circulates the heated air through vents or ductwork. Every homeowner’s biggest winter fear is a burst pipe. If you have a boiler, not only are pipes going to your kitchen sink, but separate pipes are going to your baseboard or radiator that, if filled with water, can freeze and be at risk for bursting. If you have a furnace, there’s a maze of ductwork behind your walls that requires attention. Falcone says it’s important to know if those ducts have been sealed. Leaky ducts can reduce heating and cooling efficiency by as much as 20 percent, as well as aggravating existing asthma and allergy problems by circulating dust and contaminants from crawl spaces. A properly sealed duct system can make your home more comfortable, energy efficient, and safer. Rodenhiser is one of only a few Massachusetts companies that perform this sealing. Think of it this way: Take care of your heating system in order to stay cool. Speaking of which . . .
With summer approaching, now is also the time to address the health of your air conditioning unit. Falcone suggests scheduling annual maintenance and air filter replacement well before that first heat wave rolls in. Something as simple as clearing debris left from the winter can be of vital importance. The outdoor condenser needs to be able to pull air in so any nearby obstructions can drastically reduce the unit’s efficiency by blocking air flow or even lead to a system failure if a small obstruction gets sucked in. There’s also a change coming that will affect your A/C’s very core – its coolant. In 2010, the government passed regulations requiring the phasing out of a specific coolant product called Freon R-22. It will be banned entirely by 2020. That means if your system leaks coolant, it will be harder and more expensive to get it refilled, leaving you two years to transfer to the new, approved coolant or to get a new system. Either way, if you have an older system, get some professional advice. The good news? 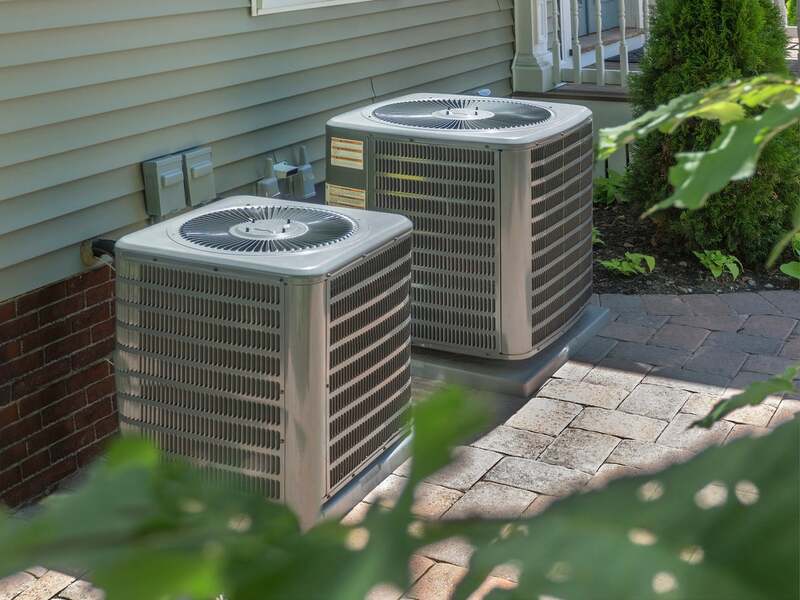 If you suffered through last summer’s sky-high temperatures and thought, ‘Never again,’ Falcone says air conditioning is more affordable than ever. But now, he adds, air conditioning is easy to add even if you don’t have ductwork with the rise of ductless mini splits. Ductless mini splits are very cost effective, high efficiency systems, that are easy to install. It is composed of an outside condenser and an indoor unit that sits on the wall. These units are also high efficiency systems that produce both cold air in the summer and hot air in the winter. Sometimes the tiniest issue could be an indication of a giant problem. Take, for example, your water heater, an appliance with a life expectancy of six to 10 years. “If it falls in that range, check it every so often for any leaks,” suggests Falcone. 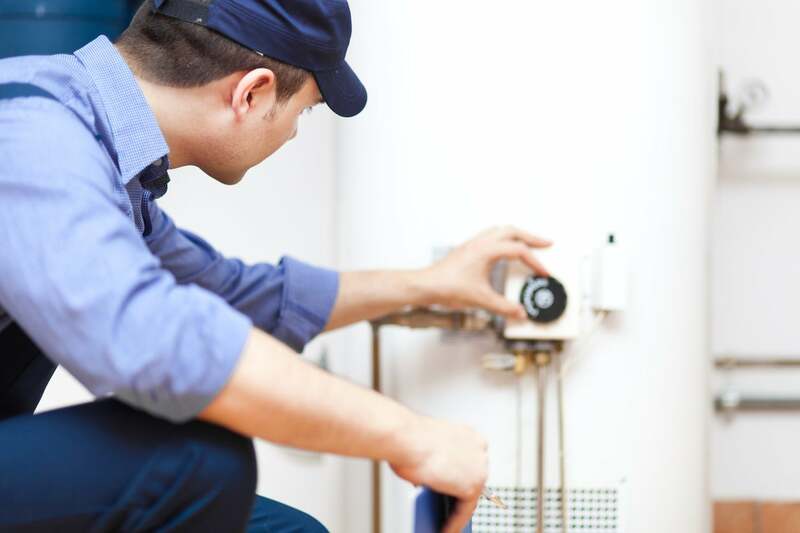 “A water heater is a metal tank with water inside. When you mix water and metal, you get rust.” A sacrificial rod exists within the water heater to prevent rust from attacking the inside wall of the water heater. Once that rod exceeds its lifespan that rust starts attacking the inside walls of the water heater. If it’s not addressed and the rod isn’t replaced water doesn’t trickle out, it pours out into a giant puddle endangering anything around it. 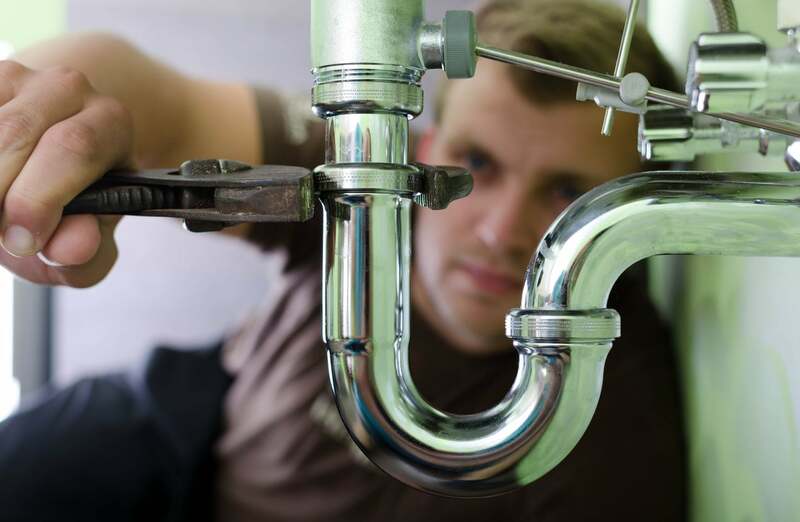 Other signs of rust or corrosion within your plumbing system can be signs of an early leak and should be addressed immediately before water damage ensues. This can be identified in the form of rust or a green/white build up on the pipes. Knowing what small signs to look for can help you extend your systems’ lives, run them more efficiently, and limit damage. “If it ain’t broke, don’t fix it,” might seem like a good motto, but Falcone says that’s asking for trouble — and also missing out on opportunities to save. MassSave considers any heating or air conditioning system older than 12 years eligible for upgrade. You might remember the 1990s as not too long ago but if your system was born around the year 2000 this is the time. Late winter and early spring, is smart because most manufacturers and MassSave offer their highest rebates for those purchasing high-efficiency systems. Rebates this time of the year are approximately up to $1,500 higher than those available the rest of the year. Instead of boasting about that old system you’re holding on to, it’s smarter to be knowledgeable about its expected life span and increased risk of failure. If you are due for maintenance or would like to learn about a system replacement click here for more information.